JACKSON, Miss.- Omar Strong scored 18 points and Texas Southern hit late foul shots to knock off Jackson State 61-54 Saturday night in Southwestern Athletic Conference play. 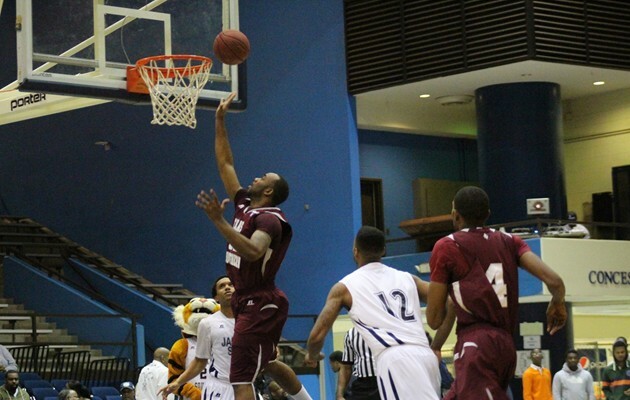 A Southern Jaguars loss at Arkansas-Pine Bluff on Saturday now puts Texas Southern in the drivers seat for the SWAC Men's regular season title. Texas Southern (10-14, 9-2) won its fifth straight game, and eighth in its last nine outings. The Tigers used a strong defensive performance and some timely buckets down the stretch to capture the victory on the road. Texas Southern led 31-24 at halftime, and went up by as many as nine points in the second half. Jackson State got within 52-49 with 1:37 left, but TSU’s Fred Sturdivant scored a critical bucket late in the game to push Texas Southern over the top. Strong went 10 for 11 from the foul line overall and converted six straight free throws down the stretch to seal the win in TSU’s favor. The tandem of Strong and Sturdivant proved to be too much for the JSU Tigers defense as both players were nearly impossible to guard in the second half of play. Texas Southern shot 46.7 percent from the field (21 of 45) while holding Jackson State to just 28.8 percent (17 of 59). TSU travels to face Grambling State on the road on Monday wrapping up a two-game road swing. The Tigers will return home to face Arkansas-Pine Bluff on February 16 at the H&PE Arena. Tip-off time for that contest has been set for 1:30 pm.